We have determined the winners for our #WBOMemories 2018 Instagram Contest! You can view all of the question entries in the thread linked above and the Instagram entries by searching for the “WBOMemories” tag on Instagram. The Beytuber Brawl! I just started in the spring of 2018 and I was blown away by how fun and exciting the event was. Everyone was so cool and I made some instant friends. 2018 because that was my first year and it was so much better than I imagined it wold be. I don’t have that many under my belt yet, yet maybe it was Yami's Tournament: Episode 1 - The Great Geist Yami. I invited some friends that never did a tornament before and they also had a blast, so that made me happy. Plus, we got to do some free play at the end with Yami and others, which was the perfect end to the day. I gotta say TheSupremeOne for a few reasons, but specifically, she encouraged me to participate in a metal tournament and even let some of us use some of her melal Beys to be able play. 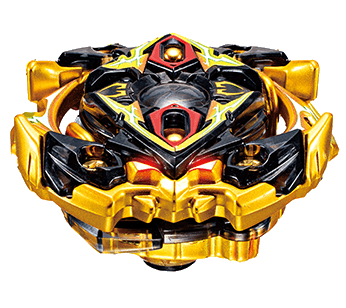 I am now also hooked on metal Beys because of her generousity st that tournament she hosted. 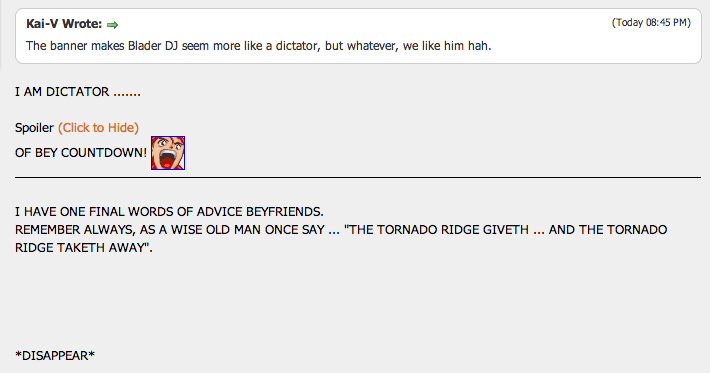 The tournament posts after the tournament has ended because eveeyone congratulates each other and shares their memories. Not on the board, but the for the November tournaments in Richmond, VA, a bunch of us were there all day for the burst tournament and then the metal tournament that ended after dark. I think I was the youngest metal participant by many years, but everyone was cool to me. We drive a couple hours to the tournament and a couple hours home, so the day was long but totally worth it. The community! Seriously, you guys are awesome. Don’t know if this counts, but I like the Blader Pass. It makes things so much easier with tournaments. Toho? Only because Godzilla and Beyblades rule my world! 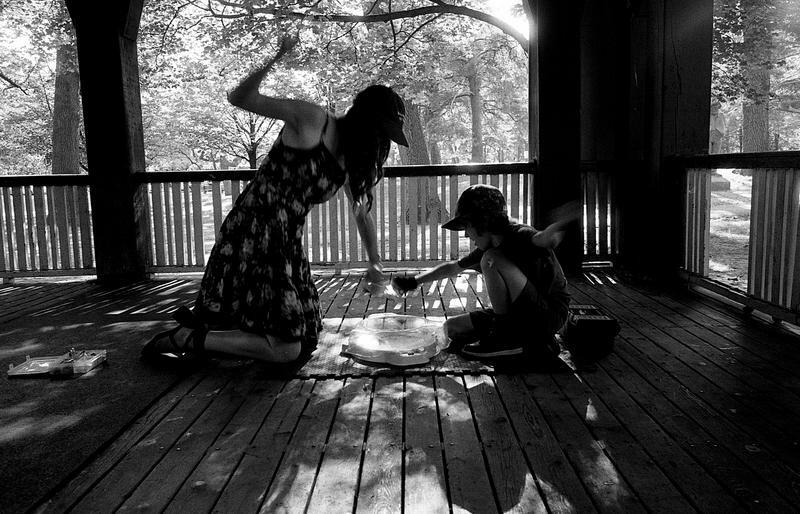 Link to cool pic entry of veteran Blader (Yani) vs competitive preschooler. (Dec. 31, 2018 9:53 PM)MrBlade Wrote: Your best day on the WBO: When I earned my first Bit, Fox. Physical Prize Winners (Top 10 for BeyLotto, and #WBOMemories 2018 1st/2nd Place): PM Kei your full name, address, and phone number and we will have the prize ordered and shipped to you as soon as possible. And finally, all winners, tournament participants, and social media contributors during the BeyLotto period will receive the commemorative Anniversary Bit 2018! Distribution may take a few weeks, but we will begin distributing these soon. Congrats to all of the winners. Maybe I will win something next time. 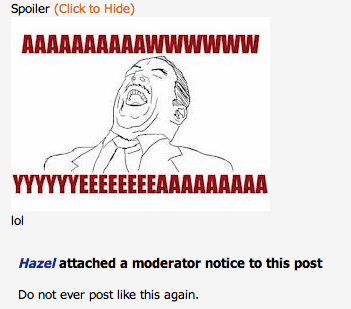 I just feel a litte bit upset that almost nobody on the WBO even noticed my post. my name is Zera. 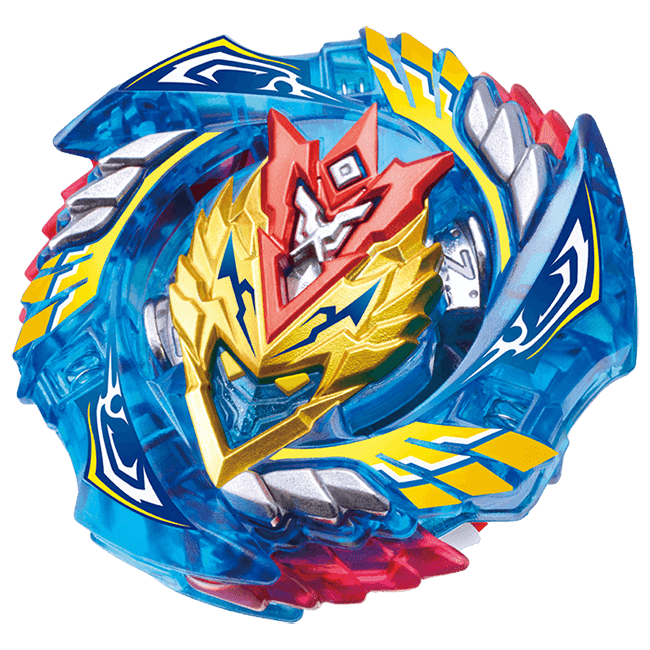 I'm a 20 year old passionate Beyblader and BeyTuber from Germany and my whole life turns around Beyblade. This post was originally only supposed to be about my favorite WBO memory, but I figured that there is just a lot I want to tell you about and most of what happened was connected to previous events in my history. 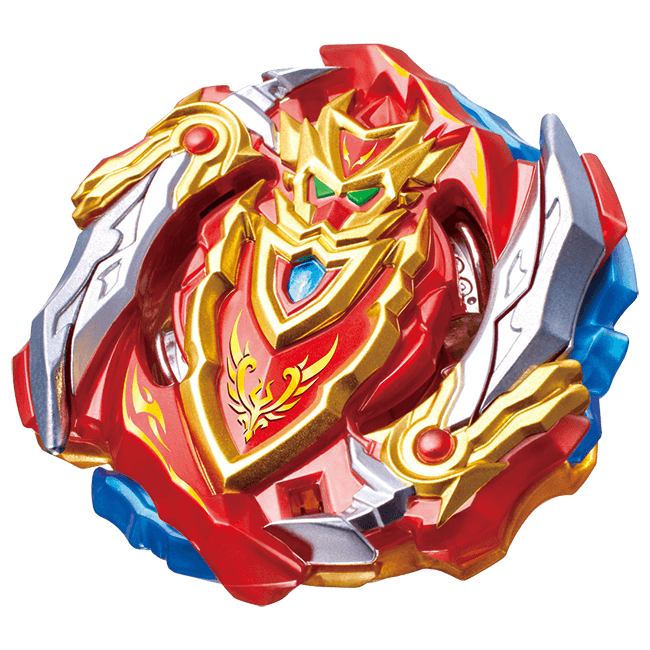 When I was younger, many people thought Beyblade is just a toy or a short lived hobby of simple spinning tops. But for me it was my absolute passion. I was always fascinated by spinning objects and complex mechanics. The physics, the combinations and the unexplored potential of the game have always fascinated me. 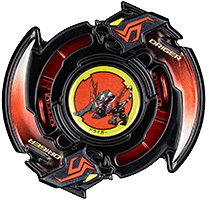 I went through a lot in my life, but Beyblade was always at my side and eventually pulled me out of the darkness and into the hope. 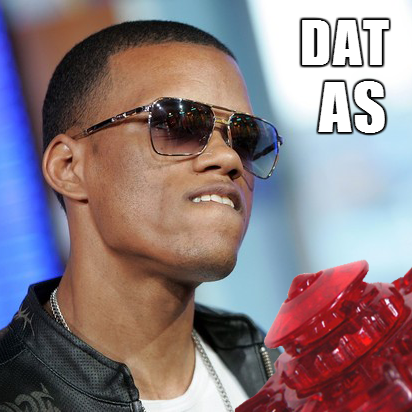 Beyblade has changed my life. 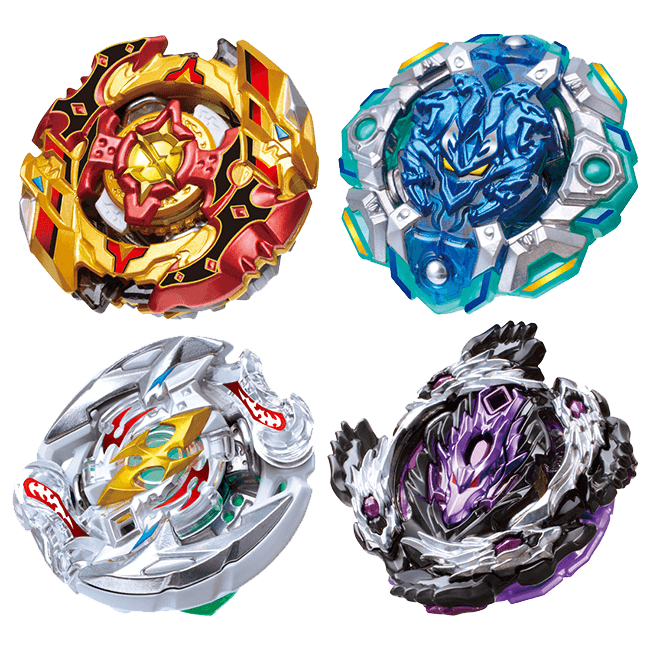 Without Beyblade I would honestly not be the person I am today. I started my YouTube channel in 2010/2011 in the hope of becoming part of a community and making new friends. 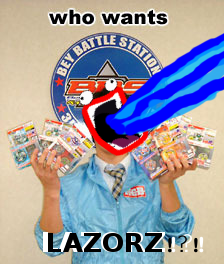 On May 28th 2011 I took part in my first ever Beyblade Tournament which was the Battle of Nations at our local ToysRus. I came pretty far. I also met an awesome friend back then: ReijiPSerpent. He also happened to be a YouTuber. Together we filmed many awesome videos. In 2014 I sadly had to move away. 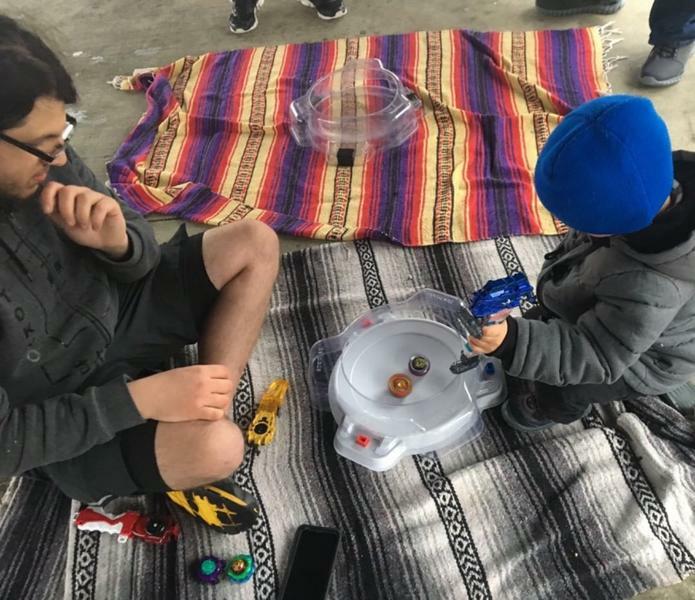 2014 and 2015 have been really dark periods of my life overall, but everything began to get way better after I found friends in my new neighborhood who like Beyblade, too, and share the same passion as me. Together we eventually held our first official WBO tournament and eventually got almost our entire school into Beyblade. It was an amazing experience. During this time and in 2016 I met many awesome friends who I am still in contact with today (most outstandingly BeelzebBlader/SatombCrafter and DraconicArt). 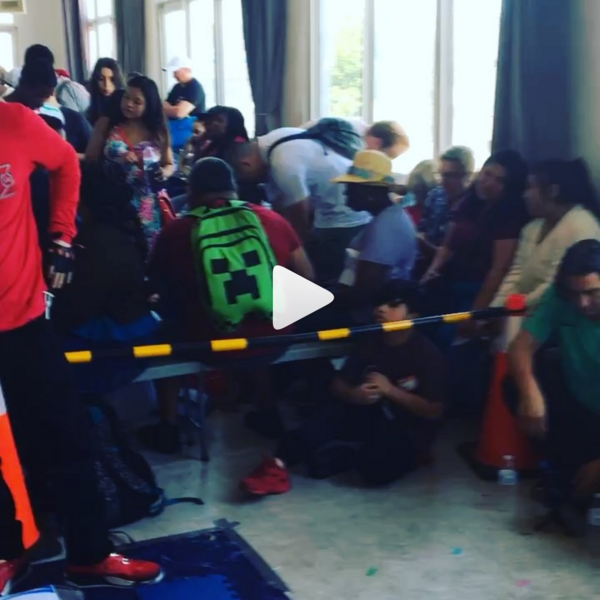 In July of 2018 we held another tournament with WBO rules: Blackwater BeyRevival. At this tournament we had a very special guest, who was @[Falco276] . She came all the way from Switzerland to join our tournament and she got third place with DraconicArt being 2nd and me being 1st. It was super amazing. Especially because I've known her for over 2 years at that time, but only through YouTube and video chat. We had so much fun at the tournament. I love her, since I talked to her for the first time, because we have a lot in common, the same interest, the same hobbies, the same passions and we are on the same wave length. After these two years of internet friendship and that tournament she eventually told me that she loves me the same way I love her. My heart bursted with joy. I was so happy, I couldn't beleive it. We had a lot of fun and an amazing time together. Also, our families became close friends as well and in Summer of 2019 her family will move to Germany near our city and it's overall just a blessing that we became a couple and found the love of our life at a WBO Beyblade Tournament. DraconicArt, Falco276 and me also founded our own BeyClub on that day, the Blackwater Guardians. THIS tournament was the best WBO memory of my life. 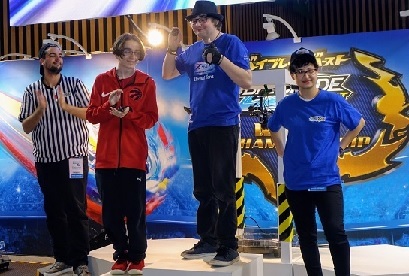 In November of 2018 Falco276's and my Family drove to Paris, France and Falco276 and I participated in the BeyTuber World Championship, watched the BeyBlade World Championship live and met Hiro Morita and the Takara Tomy Staff in person. I even showed them my Quasar Galahad and they took photos. It was awesome. I also met many awesome BeyTubers (including Zankye and his dad, Cyprus, DracoLight, StormBeybladeEspace and RyukShinigami) and best of all, I got a signature from Hiro Morita and won the 1st place Official BeyTuber World Championship. After the BeyTuber World Championship in Paris I even made it into the local newspapers, met our city's mayor and was allowed to write my name in the golden book of our city, where only important politicians, celebreties and stars wrote their name in. It was amazing! 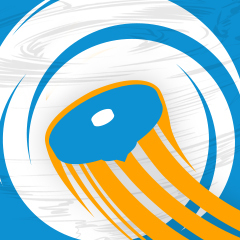 This was definetly the best and most exciting year of my life and all thanks to the WBO, YouTube and Beyblade Community. I am beyond thankful. Yay I got a Cho-Z Achilles even though I have it already! (Mar. 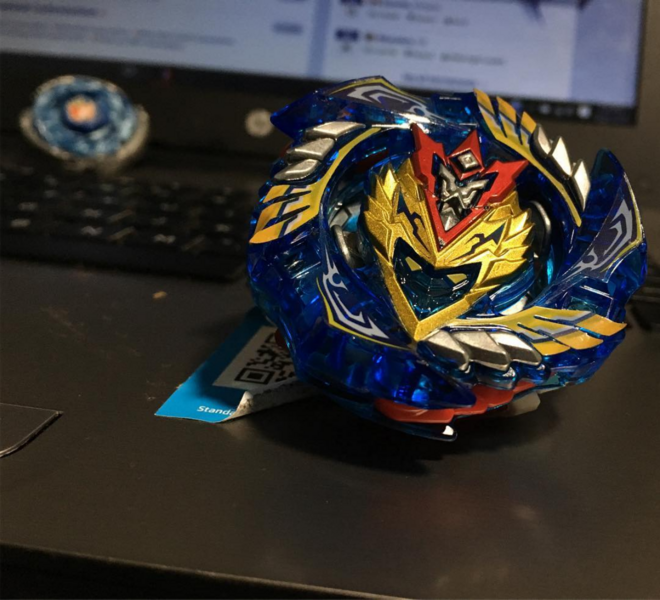 24, 2019 10:13 PM)RED NINJA 0829 Wrote: Yay I got a Cho-Z Achilles even though I have it already! Maybe it’s the Black Version! If not then you could use the launcher! Seeing Typos in My Answers Makes me Feel LOL. So I get to pick two bit boosters? If i have that right, I pick sapphire and vivid. Thank you! Love these contests. Congratulations to all the winners!!!! And to those who didn't win, we always have next year . Nope, this is not happening, not at all, na-da. Why?!?!?!?! Congratulations to everyone!! I'd like to choose Bit Booster VIVID please! I wanted at least one bit booster 😭😭😭😭😭😭😭! I want host tournament and make BeyChannel video. Then I can get bit booster. The Bit Boost Driver please, thanks! Awesome, thanks Kei! I'll grab a bit booster jet.